Comprehensive industrial electrical services including wiring, fire alarm systems, security lighting and CCTV or emergency lighting. At Croft Electrical, we cover all industrial electrical services work including wiring, fire alarm systems, security lighting – CCTV or emergency lighting. We provide a complete electrical solution for your industrial business. We have the experience and technical knowledge to provide a comprehensive electrical service, whilst maintaining a high standard of customer satisfaction, giving you complete peace of mind at all times. We can provide installation of any light fittings for large or small industrial plants, warehouses, factories and more. Depending on the lighting system you require, Croft Electrical can provide a site visit and FREE evaluation to uncover the type of light fitting solution we recommend, which includes current and new light installations. In an industrial work environment, it is critical to make sure any wiring carried out is completely safe. To achieve a functioning system, wiring needs to be installed and set up with precision and expertise. Croft Electrical’s qualified and experienced team will ensure your current or new industrial electrical wiring system is installed correctly and safe for your plant or factory to run efficiently. 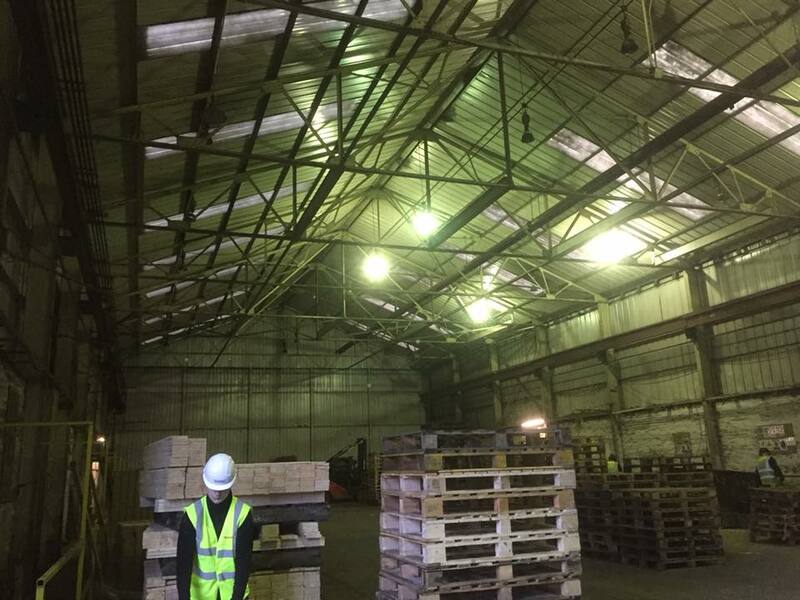 Our highly skilled and qualified electricians can advise what type of emergency lighting your industrial business may require, keeping you and your employees safe during any unforeseen situations. We are specialists in the installation of any emergency lighting for your business. Croft Electrical Services offer a wide range of CCTV security solutions for large and small industrial businesses, including security alarm installations to complex CCTV installations for larger industrial plants. Security lighting is the front line in protecting your premises against any potential criminal activity. Security lighting is one of the most effective measures you’ll take against unwanted intruders, so speak to Croft Electrical on 07411 396303 and we will advise what type of Security Lighting installation will meet your business requirements. Fire can be a major threat to industrial plants, warehouse and factories, which can be a real worry for many businesses. It is vital that your business is installed with an effective fire alarm system in place to prevent this. Croft Electrical can asses your current fire alarm system or install a completely new system, depending on your requirements.